How do you feel? Is your answer just… fine? Would you rather feel great? Then you need optimal nutrition — and no one delivers it like we do. 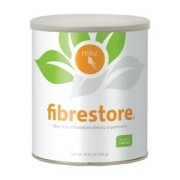 Reliv makes advanced nutrition simple. Reliv Europe nutritional supplements deliver a complete, balanced, optimal blend of the vitamins, minerals, antioxidants, proteins and phytonutrients the body needs to thrive. And Reliv is the exclusive provider of LunaRich®, the world’s first epigenetic superfood. If you do not reside in one of these countries please contact us for more information on how you could receive Reliv products. Your health is worth more than a bulk multivitamin pill. You deserve Reliv Now. 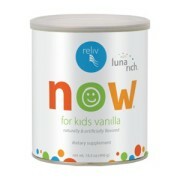 Made with Reliv’s exclusive LunaRich soy powder and loaded with vitamins, minerals and super-powered antioxidants, Reliv Now is built on the latest findings in nutrition science. Its uniquely effective formula delivers a balanced array of the most advanced ingredients to give your body what it needs to thrive. Why settle for ‘fine’ when you can feel ‘great!’ Get your health up to speed with Reliv Now. All of Reliv’s soy formulas are derived from non-GMO soybeans. Reliv Classic® delivers a powerful, synergistic array of nutrients designed to bridge the nutritional gap created by on-the-go lifestyles. Featuring the nutritional advantages of non-GMO whole bean soy protein, which retains all of the phytonutrients, isoflavones and antioxidants, protein and fiber that give soy its natural health-promoting power. 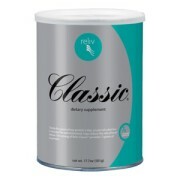 Reliv Classic contains Vitamin A which contributes to the maintenance of skin and vision, Vitamin C which supports the normal functioning of the psychological system and Vitamin D which contributes to the maintenance of normal muscle function. It also contains Calcium which is essential in the maintenance of teeth and bones and Iron which supports the normal formation of red blood cells. Plain flavour. Has a special proprietary blend of high-quality ingredients to support children’s daily needs. Contains Calcium which is needed for the normal growth and development of bone in children and Vitamin D which contributes to the normal function of the immune system in children. It also contains Iron which supports the normal cognitive development of children and Omega 3! All of Reliv’s soy formulas are derived from non-GMO soybeans. Loaded with 9.5 grams of soluble and insoluble fibre, each serving provides the fibre needed to assist your body in reaching better health. You’ll also receive considerable amounts of antioxidants like Beta-Carotene, and vitamins C and E. Plus, FOS, a unique form of fibre that helps promote a healthy intestinal tract. A special blend of 12 herbs and enzymes boosts energy and enhances general well-being. Vigorous exercise. Stringent training. Or just plain busy. Patented Innergize!® sports drink refreshes and replenishes your body with essential vitamins, minerals and carbohydrates. 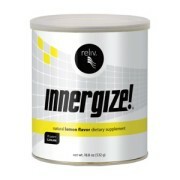 Stay in top form — on or off the playing field — with the advanced blend of ingredients found only in Reliv Innergize! Innergize! contains Vitamin C which contributes to the reduction of tiredness and fatigue and protection of cells from oxidative stress, Chromium which supports normal macronutrient metabolism and the maintenance of blood glucose levels and Zinc which contributes to normal cognitive and immune system function. The benefits of soy are well-established, and new research has identified the nutritional component largely responsible: lunasin, a naturally occurring soy peptide. 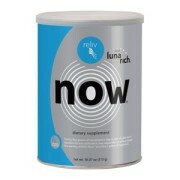 LunaRich C is the most pure, concentrated form of lunasin ever produced — and available only from Reliv. In addition to its own health benefits — from cholesterol reduction to overall cellular health — LunaRich C powers up the benefits you receive from other Reliv products. Cutting-Edge Science: Study shows potential of Reliv Now® + LunaRich C to support weight loss, heart health and metabolic wellness. Award-Winning Nutrition: LunaRich X (same ingredients as LunaRich C) was named the 2013 People’s Choice for Favorite New Consumer Product by the American Business Awards. University of Missouri study points to support for weight loss, heart health, and metabolic wellness with Reliv Now and LunaRich (lunasin). Supplementation with lunasin-enriched soy extract (LES) in combination with the dietary supplement Reliv Now significantly reduces free fatty acid (FFA) levels, which can be explained by the coordinate increase in endogenous leptin and adiponectin levels in the blood plasma of LDL-receptor mutant pigs. This novel effect of LES and Reliv Now supplementation provides a potentially effective, low-cost and natural alternative to therapeutic drugs to help control the current epidemic of obesity, metabolic syndrome and heart disease.